At the Audi Summit, the brand’s annual press conference to go over its past year’s success and future endeavors, the four-ringed brand made several announcements for the future. One of them was the Audi e-tron GT, a four-door performance electric car to rival the Tesla Model S and Porsche Mission E. However, that won’t be available until around 2025. A new model that will be unveiled sooner, and has now been confirmed during the Summit, is the upcoming Audi SQ2. Based on the standard Audi Q2, the SQ2 will be a faster, sportier and more exciting version of the small crossover. While there were rumors of such a car, it’s only finally been confirmed by Audi’s own Peter Mertens, Member of the Board of Technical Development. There’s no official timeline as of yet for when the Audi SQ2 will arrive, nor is there any official information aside from its eventual existence. It isn’t hard to speculate, though. Being an ‘S’ car, it will have a more powerful engine, sportier suspension and slightly more aggressive looks. Obviously, Audi hasn’t released which engine will power the SQ2, but it’s likely going to be the same 2.0 liter turbocharged four-cylinder that you’ll find in the Audi S3. That would give it 310 hp, a significant bump over any engine offered in the standard Q2. 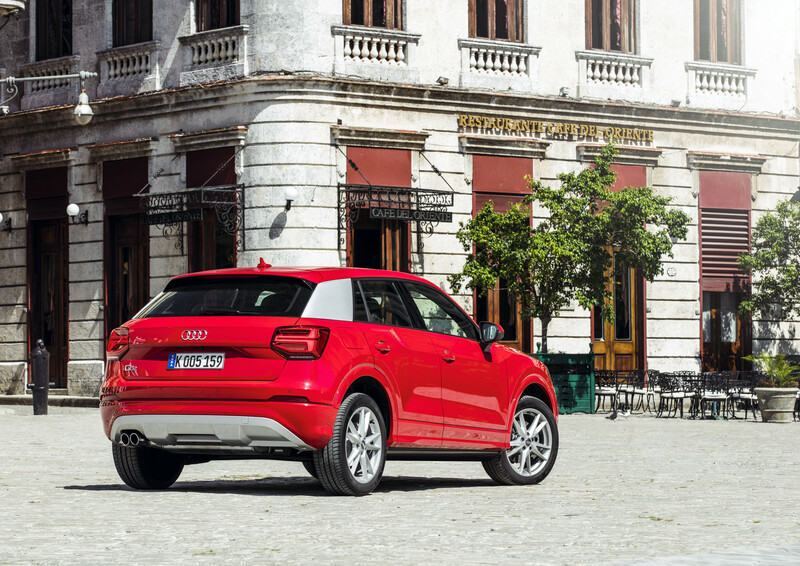 We’ve said for awhile that the Q2 had potential for a sportier variant. It’s good looking, modern, sharp and fun to drive, so adding power and performance will only make it better. Plus, it’s built on the brand’s MQB platform, one we know can handle extra power. Just look at the Audi TT RS, RS3 and Volkswagen Golf R.
The real question is, will there be an upcoming Audi RS Q2, with the brand’s brilliant turbo five-pot? Now that would be exciting.